It’s hard not to like cherry, with its fruity, cheerful and lovely sweet-sour notes. With the emergence of cherry tea, this combination makes its way into your daily brew. There are no fixed typologies or rules as far as cherry flavored teas are concerned. Among the diverse varieties of cherry tea on the market today are traditional Japanese ‘sakura’ teas, green teas laced with rose petals and cherry blossoms, dessert brews made with strong black teas and cherry flavorings, and delightful assortments of cherry blossoms, rosehips, hibiscus and dried fruits. 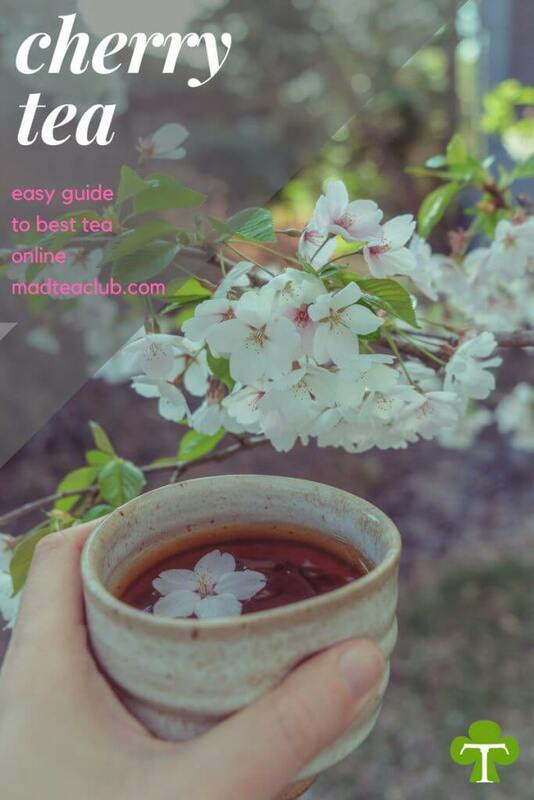 Cherry tea is closely associated with Japanese tea drinking traditions. ‘Sakurayu’, or Japanese cherry blossom tea, has for centuries been a much awaited spring-time special. Prepared with freshly harvested cherry blossoms (or ‘sakura’) and Japanese black tea, this beverage is the highlight of the annual ‘hanami’ (a Japanese ritual of welcoming the spring). It is also served at weddings and other occasions marking new beginnings. Best cherry teas present diverse notes and flavors, depending on their composition of ingredients. Japanese cherry blossom teas combine the crisp, strong notes of Japanese black tea with the sweet floral edge of cherry blossoms. The result is a “fragrant”, “delightful mix of strong and subtle”, which is also a “great pick-me-up” for those who prefer full-bodied, high-caffeine beverages. Some cherry flavored black teas also use almond accents for a “smooth and luscious” sip. These flavored blends are usually preferred by tea drinkers who like strong, fruity aromas. Caffeine-free herbal blends that feature cherry along with other fruits and flower petals, are typically found to be “sweet and tangy”. They make good dessert teas, though some might find them to be “more like candy than tea”. Green teas with cherry blossoms or flavorings, on the other hand, are “nice and light”, “without trying to be overly fruity”. Since cherry teas come in so many varieties, there are different steeping times and water temperatures for each of them. Japanese cherry blossom black teas are best steeped for 3-5 minutes in fresh water at 160-190 degrees, depending on the brew strength you prefer. They can be consumed with or without milk. Cherry herbal blends generally make good caffeine-free drinks in both hot and iced versions, and pair best with sugar. Try innovative blends featuring chocolate, vanilla or rose petals for that ‘dessert-like’ feel.